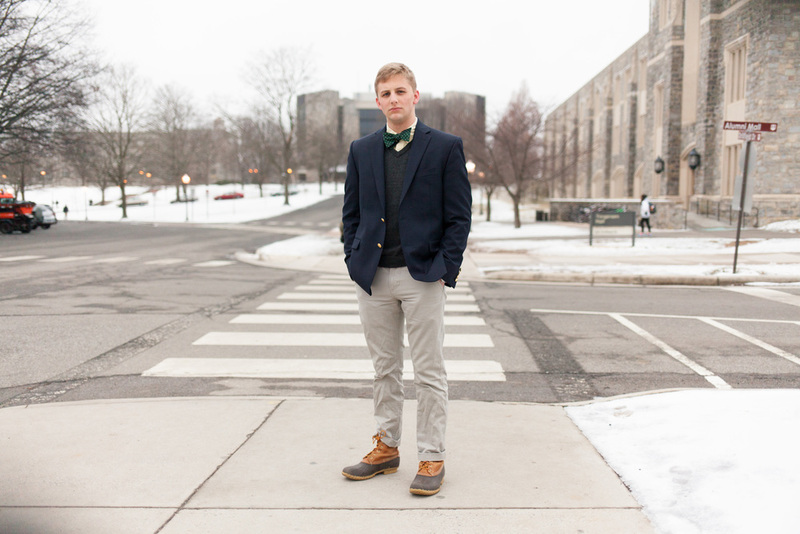 Angel caught Kevin, a Virginia Tech sophomore, on one of the last days of winter, wearing a navy blue Ralph Lauren for Macy's blazer, a pair of Dockers khakis, a green polka-dotted bow tie and a pair of classic L.L. Bean "Bean Boots". Check out #MacysCampusTour for more campus style tips. Posted on April 18, 2014 by Campus Sartorialist and filed under Macy's Campus Tour, Men, VATech, VA. While dressing up to for class might elicit a few "What's the occasion?" questions, we are all for it, as we are firm believers that one dresses for one's self rather than for an occasion or for everyone else. Continuing his coverage of campus style, as part of #MacysCampusTour, Angel Verde sent us a couple of photos of Tyler, from Virginia Tech. Tyler incorporated a bold Maryland Flag Bow Tie by Route One Apparel into his look by pairing it with a simple navy blazer, a salmon pink button-down shirt and a pair of slim Dockers chinos from Macy's collection. Posted on March 25, 2014 by Campus Sartorialist and filed under Men, Macy's Campus Tour, VATech, VA.
#MacysCampusTour continues, and Angel Verde photographed Darren on a snowy day on Virginia Tech's Campus. Darren is wearing a jacket and shirt from H&M, a thrifted cardigan and a tie from a consignment shop. 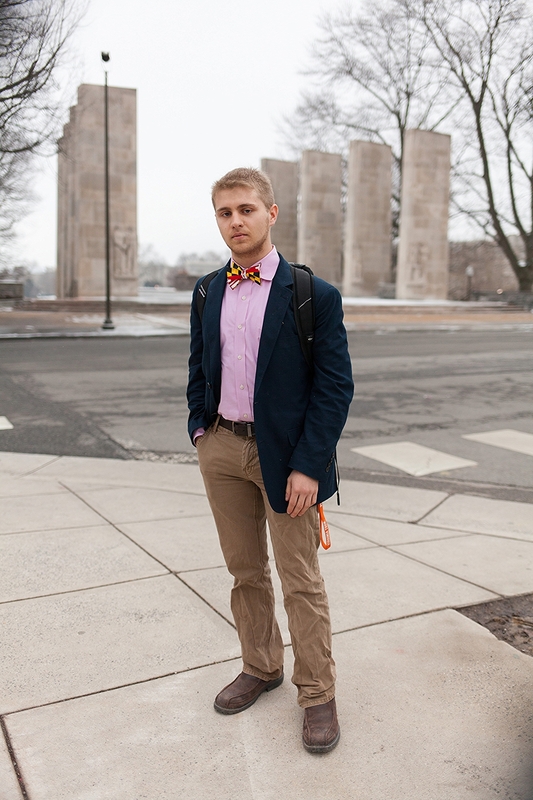 Posted on March 20, 2014 by Campus Sartorialist and filed under Macy's Campus Tour, Men, VA, VATech.